Driving under influence (DUI), Driving while intoxicated (DWI) or operating under the influence (OUI) are different terms used in different states for drunk driving. Since one third of traffic fatalities are caused by drunk driving, it is taken as a severe crime and invites heavy penalties and tougher legal actions. This means Driving Under the Influence of alcohol or other illegal substances which can lead to impaired judgement. Driving with a blood alcohol concentration of 0.08% or higher is a crime in all states, whether affected or not. Some types of DUI are serious crime and can invite a felony charge; even a prison sentence. Alcohol, drug, or both, consumed by the person had affected his or her ability to drive safely (the quantity of both notwithstanding). Some DUIs are considered misdemeanors, but serious ones can be charged as a felony. DUI leading to injuring or killing someone can lead to a prison sentence for years. Usually, the prison sentence is longer if there are prior convictions of misdemeanour or BAC of 0.08% or higher. 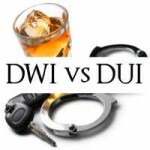 A DUI or DWI defended must consult a lawyer having effective experience in the DUI/DWI. S/He can assist you to understand the laws of your state as well as help you to represent your case in the court, if required.